Since the time of Mother M. Anselma, when she first began her work in Thuine, Germany our Sisters have been involved in the education of children and youth. We began our mission in the United States when our Sisters came to St. Louis, Missouri, and began assisting with Father Dunn's Newsboys Home in the 1920's. 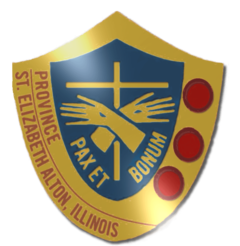 Our education apostolate in America began in earnest in the 1980's. Now we teach at several schools throughout the United States. The Sisters assist in forming children as young as six weeks old in our St. Francis Day Care Center to teaching in higher education. As Spiritual Mothers, we seek to bring these young hearts to the Heart of Christ. Rooted in our call as Brides of Christ, we work to share our love of the Church and her sacraments with our students and their families by cultivating a Catholic culture and spreading the New Evangelization. St. Catherine's School, Tulsa, Oklahoma. Our Sisters encourage and provide opportunities for students to grow in their faith in campus ministry at various high schools. They also provide opportunities for youth to participate in retreats, youth events, conferences and pro-life activities that foster discipleship in Christ.